Every year Santa flies a new sleigh on Christmas. And every year he has to give his sleigh a name. Santa likes to collect name suggestions from kids all over the world for his new sleigh. It is his tradition to announce the winner of the sleigh naming contest just before he takes flight. Just one thing though: there is also a tradition that Santa always gives his sleigh a girl’s name. When asked, Santa said it is a common practice around the world to refer to vehicles with a girl’s name. Most ships are named after girls and so are airplanes. “Whenever I fly I always refer to the sleigh as a she, like ‘She’s pretty fast!’ — that’s just the way it has always been. So if you enter a suggestion below make it a girl’s name! 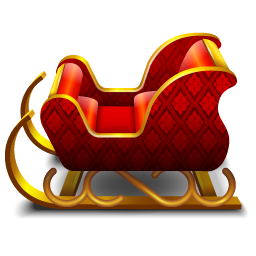 What is the name you want to give Santa's sleigh?